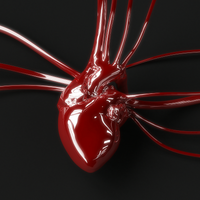 Injecting human cardiac muscle cells into monkeys that suffered heart attacks helped the animals’ damaged hearts pump blood better, researchers report July 2 in Nature Biotechnology. The treatment is based on the reprogramming of human embryonic stem cells, and the results move the therapy a step closer to clinical trials. When a heart attack goes untreated, blood is blocked from flowing to the heart, which leads to the death of heart muscle cells. 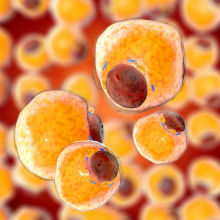 There can also be scarring and heart failure—when the heart cannot pump enough blood to the body. 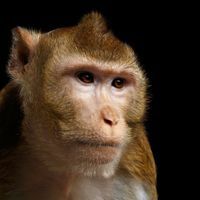 In the study, after 9 monkeys were made to have heart attacks, their heart-pumping capacity dropped by more than 30 percent. 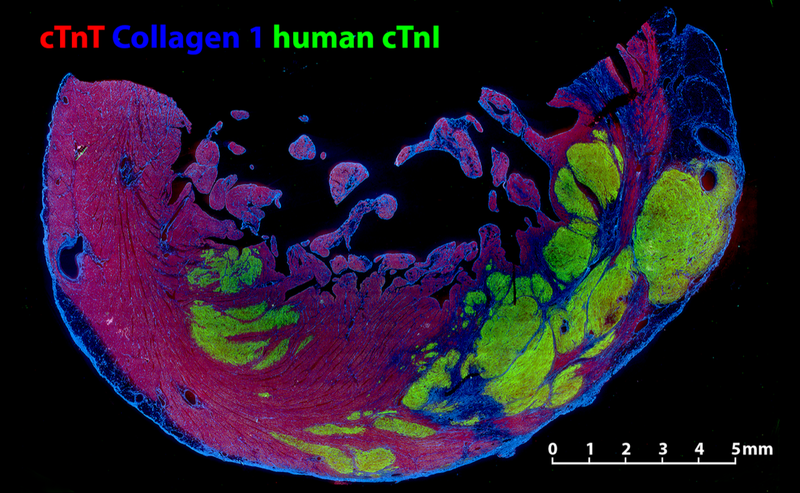 Injecting 750 million cardiac muscle cells, derived from human embryonic stem cells, into the monkeys’ hearts led to the growth of new heart muscle tissue. 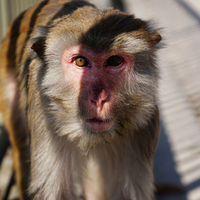 After four weeks, most monkeys’ hearts showed improved pumping capacity, up to a third better than right after the heart attacks, and two monkeys had two-thirds of the lost capacity restored after 12 weeks.